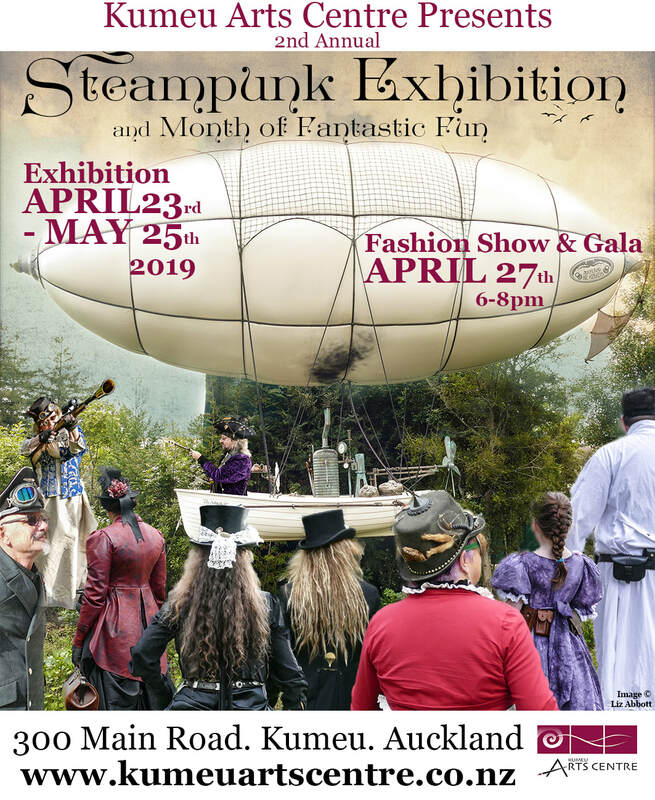 To coincide with the exhibition opening on Saturday the 27th of April, 6-8pm, we will host another Steampunk fashion show. Guests are invited to dress up and get involved in the fun. Exhibition Dates. 30th April - 18th May. Anna has worked full time as a professional artist since 2016. She seeks to communicate her distinct outsider interpretation of the world, painting visions of the real and unreal for us. She perceives the world both as it is, with a particular love of the New Zealand landscape, and as it might be: surreal worlds, shapes, and abstract images. Her interweaving of natural and fantastical imagery seeks to challenge us and to tell stories about ourselves and our environment. Working primarily with acrylic on canvas, Anna’s most iconic works are exquisitely painted rooms which provide a framework for external views, and a location for other contextual features. With these elements she creates a visual poem for us to decipher. In a short time Anna has established a distinctive artistic style. Surreal and natural elements combine with and are seen through windows, doors, and rooms. Her originality and thematic strengths have been recognised with numerous awards, including the prestigious Premier Award at the 2017 Hibiscus & Bays Art Awards. Kumeu Arts Centre is a creative hub where many photographers both professional and amateur regularly meet and display their images. ‘Kumeu in Focus’ will showcase a range of images from this talented community. The Kumeu Photography Group will be showing work based on the theme ‘The Wild West’ while in the ‘Open’ category anything goes. All the works in the show will beavailable to purchase at affordable prices.